It might seem a bit late to be reviewing 2015 but I still think it’s worth looking back at one’s achievements and milestones. It helps to get things into perspective and also reminds you what you’re capable of. 2015 was another amazing year of cycling for me. Whereas 2014 had had a slow beginning due to a knee injury, 2015 started better but fizzled out towards the end. The chart shows that activity for the two years is broadly similar except that one starts later (2014) and one ends earlier (2015). 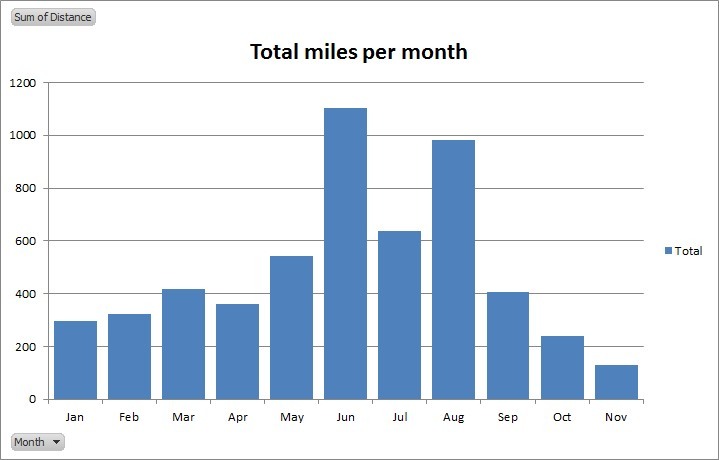 2015 also has a sharper surge of activity around about June when I did my highest monthly mileage of 1105 miles. 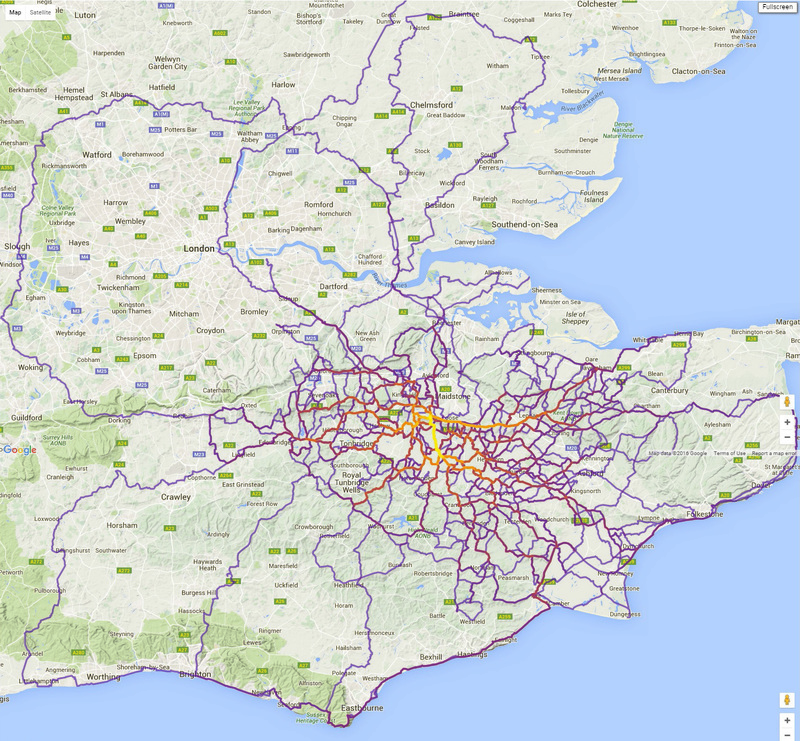 2015 was the ‘year of the long ride’, with several epics including six rides of over 150 miles. In fact I did 20 fewer rides in 2015 compared with the previous year and yet I rode further. 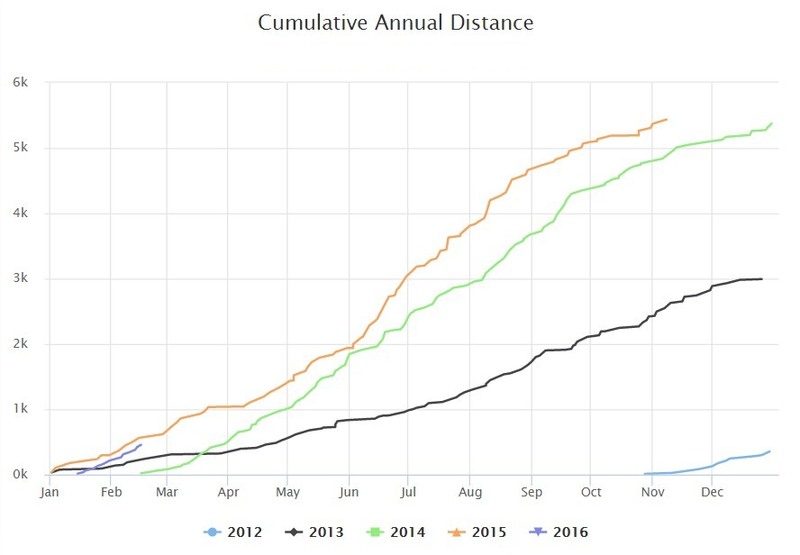 The average length of ride went from 48 miles in 2014 to 59 miles in 2015. … plus loads of great rides to and along the coast. In 2015 I started riding with another club group – The Saturday Inters +, and on many weekends I went out on both the Saturday and the Sunday rides. 40 of the year’s 92 rides were connected with the club. One of the features of 2015 is that, at one point, round about September, I got my weight down to well under 11-stone, nearly a stone lighter than I had started the year. My hill-climbing performance improved considerably because of this. So what happened at the end of the year to cause me to be off my bike for 10-weeks? See here for some info. Do the Exmouth Exodus without getting a train / coach back!